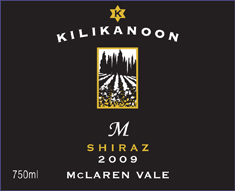 The role and influence of McLaren Vale’s maritime climate is clearly apparent in this full bodied, perfumed wine. A powerful yet refined nose of black fruits, dark chocolate and perfumed charry oak is followed by brooking spices, chocolate and licorice on a velvety palate. Fine grained tannins and dried herbs pull the back palate together for a long, lingering finish.